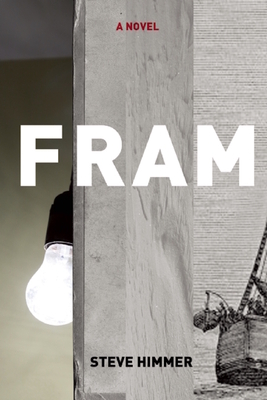 Fram is the story of Oscar, a minor bureaucrat in the US government's Bureau of Ice Prognostication, an agency created to compete with the Soviets during the heyday of the Cold War and still operating in the present without the public's knowledge. Oscar and his partner Alexi are tasked with inventing discoveries and settlements in the Arctic, then creating the paperwork and digital records to "prove" their existence, preventing the inconvenience and expense of actual exploration. The job is the closest Oscar has come to his boyhood dream of being a polar explorer, until he and Alexi are sent on a secret mission to the actual Arctic, which brings them into a mysterious tangle of rival agencies and espionage that grows more dangerous the farther north they travel. The trip also allows Oscar to reconnect with his wife, Julia, from whom he's grown alienated by years of lying about what he does for a living (a distance compounded by Julia's own secret government job), leading both of them to discover what can be lost if we let one part of ourselves--or one part of a story--distract us from everything else the world offers. Steve Himmer is the author of the novel The Bee-Loud Glade (2011) and editor of the webjournal Necessary Fiction. His stories, essays, and reviews have appeared in publications including The Millions, Ploughshares, Post Road, Hobart, 3: AM Magazine, and The Los Angeles Review. He lives with his wife and daughter near Boston, where he teaches at Emerson College.